The Liberal Democrats’ decision to stop MPs voting on a new law to allow doctors to test treatments on dying patients is “odd and wrong”, Labour has said. The comments from Andy Burnham, the shadow health secretary, leave Nick Clegg’s party politically isolated over its controversial decision to withdraw support for the Medical Innovation Bill. The Bill – which was passed by the House of Lords – would have allowed doctors to test cutting edge new treatments on patients to help find cures for cancer and other serious illnesses. It was being promoted by Lord Saatchi, the advertising magnate after his wife Josephine Hart died from ovarian cancer. However last week the LibDems’ health minister Norman Lamb said the party would not allow the Commons to debate it – effectively killing the legislation. 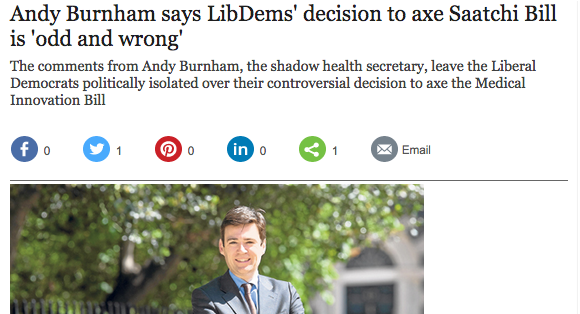 Mr Burnham criticised the decision as “strange” and said the LibDems should have entered talks with Labour and the Tories to iron out any concerns. He told The Daily Telegraph: “I am disappointed that the Liberals have done this – there should at least have been some cross-party talks about this, at the very least. Mr Burnham said that the Bill had offered hope to desperate parents of seriously ill or dying children. He said: “For parents like them nothing is available and they have no hope, it [the Bill] is about opening up hope. “It is often parents who struggle to get their voice heard – they often don’t get much parliamentary time or much focus. Margaret Hodge, a senior Labour MP, said the Bill provided “clarity and certainty for patients and doctors at the point of treatment, and enable doctors to innovate confidently”. Peers also expressed their anger on the floor of the House of Lords on Monday that the legislation had been effectively axed without a vote by MPs. David Cameron, the Prime Minister who had supported the Bill, said Mr Clegg and the LibDems would have to defend their decision. The Prime Minister’s official spokesman said: “The Prime Minister has expressed his support for this – there were changes that were made during its passage through the Lords, with regard to safeguards. 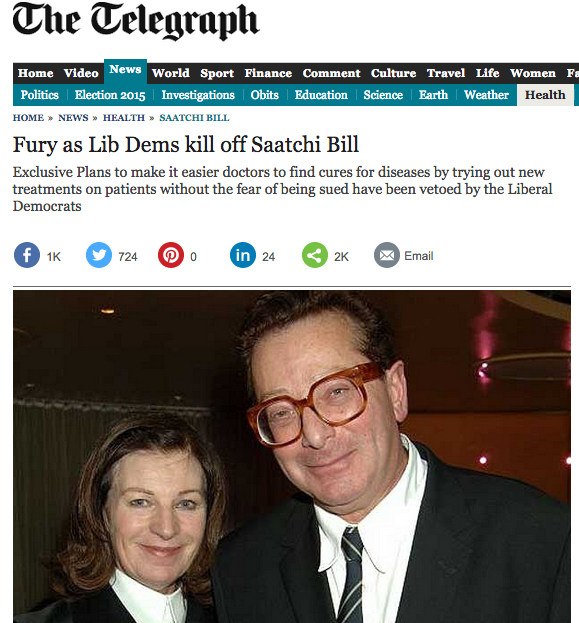 Lord Saatchi described the LibDems’ decision was “a death sentence” for “cancer patients. It is an extraordinary turn of events. But defending the decision, Mr Lamb said: “The Liberal Democrats have listened to the concerns of patient organisations, research charities, legal bodies, royal colleges and medical unions who have told us the Bill in its current form could actually put patient safety at risk. 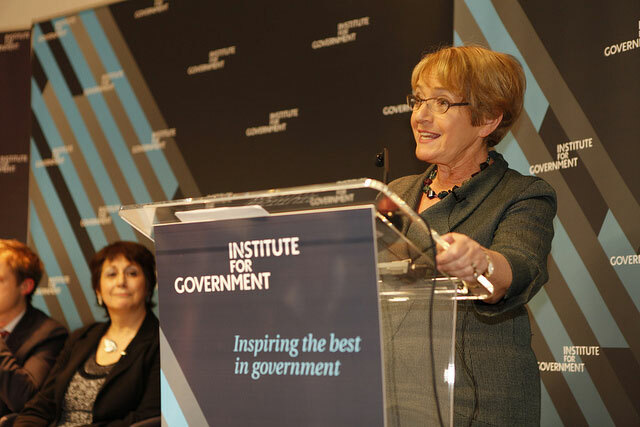 Margaret Hodge MP (Labour) for Barking on the Medical Innovation Bill. “Innovation in medicine is essential. All that can be done for a patient who faces a poor medical prognosis must be done. “The Medical Innovation Bill addresses one of the barriers that stand in the way of innovation in the UK, the fear of litigation or disciplinary proceedings. That fear can deter doctors from innovating responsibly, particularly at a time of rising NHS litigation costs. “The Bill will provide clarity and certainty for patients and doctors at the point of treatment, and enable doctors to innovate confidently provided they follow transparent and accountable procedures in consultation with appropriate colleagues. “Patient safety must always come first: responsible innovation must be encouraged and quacks must be prevented from offering false hope. Labour colleagues in the House of Lords have worked with Lord Saatchi and others to ensure that the Bill strikes the right balance . Margaret Hodge MP (Labour) has been the Member of Parliament for Barking since 1994. She was the first Minister for Children in 2003 and was Minister of State for Culture and Tourism at the Department for Culture, Media and Sport. A new law to allow doctors to test new drugs on seriously ill patients without the fear of being sued has been killed off the Liberal Democrats, The Telegraph can disclose. The Medical Innovation Bill would have allowed doctors to test cutting edge new treatments on patients to help find cures for cancer and other serious illnesses. However Norman Lamb, a Lib Dem health minister, has told Jeremy Hunt, the Tory health secretary, that his party will not support it despite it passing through the House of Lords. The veto – which was made because of concerns from patients’ groups and experts – has killed off the legislation in this Parliament. The campaigners behind the Bill savagely attacked Mr Lamb and said the decision would “haunt” the LibDem leader Nick Clegg who had “handed down a death sentence to cancer patients”. Lord Saatchi told The Telegraph he was “in a state of shock” that the LibDems could veto a policy which was so strongly backed by the Conservatives in this way. He said: “They have killed the Medical Innovation Bill. It is dead. By killing the Bill they have killed the hopes of thousands of cancer patients. “It is as simple as that. Nick Clegg has handed down a death sentence to cancer patients. It is an extraordinary turn of events. “This is a grotesque insult to the House of Lords. The Liberal Democrats are saying that the House of Commons will never debate this Bill which has been sent to it and passed by the House of Lords. “I have no difficulty putting this at Nick Clegg’s door. I am very happy to stand that on him. There is no doubt that he has authorised the letter. The Bill started life as a Private Members’ Bill in the House of Lords before it won government support after new safeguards were introduced last year. It was due to be debated by MPs on Friday in a race to ensure it was put onto the statute books by the end of next month, when MPs break for the election campaign. However it was pulled at the 11th hour. Mr Lamb has now offered a review of the plans, chaired by a senior medical expert like the Labour peer Lord Winston, which would report after May’s general election. Dominic Nutt, a spokesman for Lord Saatchi’s campaign, added that the decision was “a shameful way to do business” and “disingenuous, dissembling cowardice”. He accused Mr Lamb of “monumental and feudal arrogance”, adding: “Norman Lamb knows that he is finding a way to kick this into the long grass and that he has personally destroyed the bill without the option for a vote. Mr Nutt said the Bill – technically a Private Members Bill with Government support – had “undergone a full public consultation, two years of media scrutiny, four full debates in the House of Lords” and been amended by all parties and medical and legal experts. However Mr Lamb hit back, claiming that there were real doubts about the legislation as it has been drafted, saying that the decision to axe it was “a collective decision”. The Bill had come under sustained attack from personal injury lawyers who said it would leave patients at the mercy of “maverick doctors”. Writing for The Telegraph’s website, Mr Lamb said: “The Liberal Democrats have listened to the concerns of patient organisations, research charities, legal bodies, royal colleges and medical unions who have told us the Bill in its current form could actually put patient safety at risk. Some “highly vulnerable people, desperate for a chance of recovery or remission, could be easy prey for exploitation by the few unscrupulous practitioners who peddle false hope”, he said. “So, faced with this level of concern, but recognising the profound importance of innovation and of saving lives, the best way to proceed is surely to appoint an eminent person examine what the barriers to innovation really are and how best to overcome them. Sarah Wollaston, the chairman of the House of Commons’ Health select committee, supported Mr Lamb. She said: “It was unnecessary, there would be a huge number of unintended consequences. Another opponent Sir Robert Francis QC, who carried out the review into scandal at Mid-Staffordshire Hospital and president of the Patients’ Association, added: “I have every sympathy with Lord Saatchi and all those who have been through the terrible experience of finding that they are not offered treatment which they believe might offer the chance of saving their lives or improving their condition. Mr Francis said that the Bill would “cause confusion, lead to a greater threat of legal consequences because of the additional uncertainties it creates [and] make it more likely that those few doctors who have ulterior motives for offering or trying to sell dubious treatments could exploit a very vulnerable group of patients”. By Professor Jo Samanta - Reader in Medical Law at Leicester De Montfort Law School writes about the Medical Innovation Bill (Saatchi Bill) and the law. The publicity around Lord Saatchi’s Medical Innovation Bill has put innovative therapy high on the political and public agenda. I broadly support the Bill, and think there needs to be a clear balance between the risks of innovation and patient safety. It is my view that the Bill can be fine-tuned to meet this challenge. In a paper recently published in the Journal of Medical Ethics – Quackery or quality: the ethicolegal basis for a legislative framework for medical innovation – I, along with my co-author, argue that a regulatory framework is needed to allow a full consideration of the applicability of innovation, prior to the proposed treatment taking place. In this blog I focus on the issue of pre-treatment scrutiny of proposed innovative treatment, rather than post-hoc scrutiny and of the issue of valid patient consent to innovation. The vociferous debate over the recent Medical Innovation Bill introduced in the UK by Lord Saatchi is testament to the continuing relevance of innovation for contemporary healthcare provision. The Bill has been criticised by some, with suggestions that the proposed legislation is unnecessary and might even promote quackery. However, this criticism is perhaps too harsh, since innovation has often been the impetus for a range of diagnostic and therapeutic developments in medical science. Legislation would permit doctors to deploy medical innovation optimally for the benefit of patients and within a legitimate assurance framework. As yet there is no formally established quality assurance framework for proactive evaluation of innovative therapy in respect of its applicability, or suitability, prior to delivery. The existing pathways tend to be post hoc review through litigation, regulatory or disciplinary processes, or local procedures such as root cause analysis, serious incident review, or clinical audit. These ‘after the event’ mechanisms are unsatisfactory, since they are usually predicated on some form of adverse outcome. The Bill seeks to encourage ‘responsible innovation’ on the basis that doctors will not be prima facie negligent for deciding to depart from the existing range of accepted treatment if their decisions are transparent and accountable and all relevant matters have been considered fully. For an action in negligence, the question for the court will be whether the doctor has breached the standard of care expected in law.This is based on the Bolam test with the Bolitho proviso that the decision withstands ‘logical analysis’. Both these tests could be problematic in the context of innovative practice. A standard for responsible innovation that is defined by legislation would carry the force of law, provide clarity for the de jure limits of innovative practice, and offer protection against improper experimentation on patients. Innovative therapy falls between two highly regulated areas: standard medical treatment and clinical research. The regulatory mechanism of post hoc review is largely unsatisfactory. In the presence of terminal or incurable illness, patients may be vulnerable to a greater or lesser degree and might not be best placed to assess the risks and benefits of potential innovations adequately, particularly if they believe they have nothing left to lose. It has been argued that since the decision-making process is based typically on an individual doctor–patient axis, a clear framework is needed for appropriate regulation. Innovative therapy includes departures from standard medical therapy, which may lack an evidence base or a demonstrable safety profile. The primary purpose of innovation must be to benefit the individual patient. I hold that legislation of medical innovation would be beneficial. Legislation would provide a legal standard for responsible innovation, define the boundaries of acceptable medical conduct in this area, and provide the basis for legal protection of patients (many of whom could be highly vulnerable) against wrongful exposure to inappropriate therapies (at best) or unwarranted experimentation (at worst). I propose that the Bill could be further refined through a two-stage test for embarking on responsible innovation, by creating mandatory requirements for ongoing oversight accountability, and by placing patient-centred care at the heart of the statute with an emphasis on consent and compassion. There is need for fine-tuning between empathetic care, innovation and regulation in order to get the balance right. Another argument against the Bill has been around the concern that vulnerable patients are not able to consent validly to innovative treatments. Valid consent is a necessary precursor for therapeutic treatment of competent patients and raises particular challenges in the context of innovation. The human instinct to cling to hope together with a dearth of alternative options might mean that duress of circumstances can interfere with the validity of apparent consent. The potential vulnerability of those who seemingly have ‘nothing to lose’ is recognised in international guidance for research participants with incurable and life-limiting conditions. Nevertheless, while circumstances such as these may well affect freedom of choice, it is wrong to conclude that this inevitably compromises autonomous choice. The possibility of well- intentioned beneficent medical paternalism needs to be guarded against and further strengthens the argument for legislation. 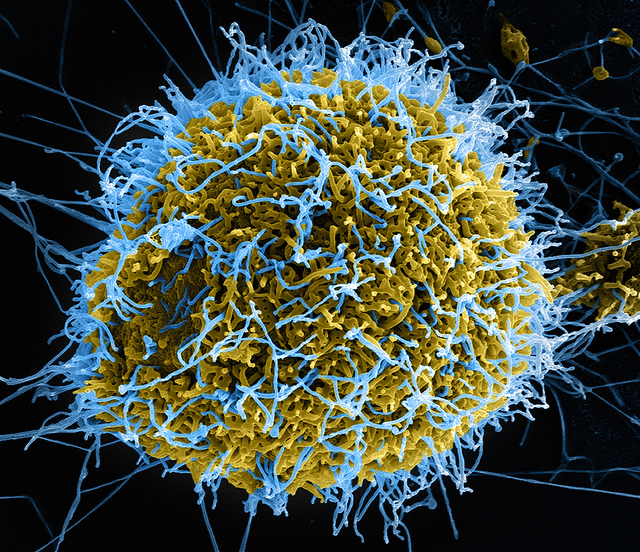 A leading epidemiologist and governor of the Wellcome Trust has said there were “obviously parallels” between the Medical Innovation Bill and the sanctioning of untested therapies for Ebola patients. Prof Peter Smith was on the World Health Organisation’s panel which permitted the use of untested therapies for the fatal Ebola virus. Prof Smith said there were similarities between the Medical Innovation Bill and WHO Ebola Guidance. “There are obviously parallels,” he said. If I had a cancer that say had a 70% mortality in six months and there was an experimental therapy and there’s no data on it, but which might actually improve that survival – and it looked at if it wasn’t going to kill me tomorrow – then I might well want the opportunity of taking that drug or whatever it was. And that’s the situation the Ebola patients are in. Another parallel with novel Ebola treatments and the medical Innovation Bill is the idea that in cases where a full trial is impossible – for lack of patient numbers, or because of an imminent likelihood of the death of the patient, innovative treatments could form the foundation of a full trial at a later date. Acknowledging there was a risk in prescribing treatments that had not been through full clinical trials, he added: “You don’t want to give [patients] treatments that would hasten their mortality but you’re more inclined to take that chance because they’ve got this severely life threatening condition anyway. “The mortality rate is still very high and there’s really nothing on the shelf that is licensed to treat these conditions and that, I think, is the incentive to use things which have been either been slow to being developed or really are experimental. However, Prof Smith said novel treatments should only be used in the best interests of the patient – and not as mini-experiments. As with the Medical Innovation Bill, which will require a mandatory reporting of the results of medical innovations – something that does not happen at the moment – Prof Smith said doctors using novel Ebola therapies should also collect data. “You should maximise the information you get out of that and measure as much as you can even though it’s not a formal trial. When relying on the Bill must medical experts who are offering their views to the doctor who is treating the patient actually see the patient? It is often most efficient and effective for doctors to discuss the principles of treatment without examining each others’ patients. This is not new and already happens currently. Doctors will decide for themselves what information they need in order to offer views on treatment, and whether they need to see the patient – as is the case now. GMC guidance or hospital protocols will also be relevant. Is the Bill a new legal requirement on doctors, previously untested in the courts? No, this is not new – the Medical Innovation Bill is simply bringing forward the existing Bolam test and turning it from a hypothetical exercise into a real one. Opponents of the Bill say it is unnecessary because the existing law is clear and they need “more than anecdotes to justify changing the law”. The 19,521 “anecdotal” responses to the Department for Health public consultation supporting the Bill are apparently not enough evidence for some that the Bill is necessary to make the law clearer. But evidence is to be found in the decisions of the courts, if one looks for it. Take the very recent case of McGovern v Sharkey. The Appendix to this Note contains extracts from the judgment in this case; the judge’s articulation of the special legal principles to be applied in cases of clinical negligence demonstrate that whatever the law on this area may be, it is neither clear, nor simple nor certain. The case also illustrates how the present law assumes that every claim will involve the claimant and the defendant each hiring two or more doctors to oppose each other in the witness box. One reason why the law is so uncertain is that it depends on how impressive the two sets of witnesses are at trial. Which is why at present claimants may be advised to sue whether they have a good case or not, because there is always a chance that they will have a “surprise win”; and key opponents of the Bill – notably Leigh Day & Co. – profit from running “no win no fee” cases relying on the uncertainty of the existing law. The Bill will preserve the existing common law for cases where it is necessary and sufficient. But it will also add a new statutory procedure by which doctors and patients can achieve clarity and certainty at the point of treatment. By following the process set out in the Bill, doctors can be confident that a decision to depart from standard practice will be upheld as responsible by the courts, the regulatory bodies and others. That will improve certainty for doctors and patients, who can concentrate on exploring sensible avenues towards innovative treatments for rare conditions, and bringing hope to patients where it is reasonable and responsible to do so. That test in Hunter v Hanley, was approved in Maynard v West Midlands Regional Health Authority  1 All ER 635 and Lord Scarman also stated “It is not enough to show that there is a body of competent professional opinion which considers that theirs was a wrong decision, if there also exists a body of professional opinion, equally competent, which supports the decision as reasonable in the circumstances. … Differences of opinion and practice exist, and will always exist, in the medical as in other professions. There is seldom any one answer exclusive of all others to problems of professional judgment. A court may prefer one body of opinion to the other, but that is no basis for a conclusion of negligence. … I have to say that a judge’s ‘preference’ for one body of distinguished professional opinion to another also professionally distinguished is not sufficient to establish negligence in a practitioner whose actions have received the seal of approval of those whose opinions, truthfully expressed, honestly held, were not preferred. If this was the real reason for the judge’s finding, he erred in law even though elsewhere in his judgment he stated the law correctly. For in the realm of diagnosis and treatment negligence is not established by preferring one respectable body of professional opinion to another. Failure to exercise the ordinary skill of a doctor (in the appropriate speciality, if he be a specialist) is necessary” (emphasis added). In Bolitho (Administratrix of the Estate of Patrick Nigel Bolitho (deceased)) v City and Hackney Health Authority  4 All ER 771 it was established that a doctor could be liable for negligence in respect of diagnosis and treatment despite a body of professional opinion sanctioning his conduct where it had not been demonstrated to the judge’s satisfaction that the body of opinion relied on was reasonable or responsible. In the vast majority of cases the fact that distinguished experts in the field were of a particular opinion would demonstrate the reasonableness of that opinion. However, in a rare case, if it could be demonstrated that the professional opinion was not capable of withstanding logical analysis, the judge would be entitled to hold that the body of opinion was not reasonable or responsible. Accordingly the final arbiter as to whether there has been professional negligence is the court and not the medical profession. It is for the court to decide whether the requisite logical basis for a defendant’s expert medical opinion is absent. The legal question is as to what features particularly characterise an expert medical opinion as one that is “illogical”, “irresponsible”, and “indefensible”. It is clear that merely being a minority view of accepted medical practice does not, of itself, render that view “illogical” or “irrational” in the Bolitho sense. However it is suggested that a court would be more ready to find that the body of opinion was not capable of withstanding logical analysis if there was a dubious expert whose professional views existed at the fringe of medical consciousness, see Khoo v. Gunapathy d/o Muniandy  2 S.L.R. 414, at . Another example would be “a residual adherence to out-of-date ideas” which “on examination do not really stand up to analysis” see Hucks v. Cole  4 Med. L.R. 393. It is however important to consider some limitations to the Bolitho test. A practice is illogical if there was a “clear precaution” which ought to have been, but was not taken. In this case the precaution that is suggested is that there ought to have been a diagnostic vitrectomy after one month given the risks of an unidentified tear of the retina and what is suggested was the lack of response to steroid treatment. However if there are risks attached to the precaution, in this case the risks associated with operating on an inflamed eye and the risk that the operation will not resolve the underlying problem, and one body of medical opinion considers that the risks ought to have been taken and the other does not then there is no “clear precaution” but rather a balancing of risks. In such circumstances both sets of expert opinion withstand logical analysis. For the plaintiff the expert opinion being that the risk of an adverse outcome, in that a tear was present in the retina, should have been prevented by taking the precaution of performing the vitrectomy. For the other body of expert opinion on behalf of the defendant, the precaution of performing a vitrectomy would have posed an unacceptable risk of operating upon an inflamed eye where given the diagnosis of ERD the operation would not have achieved a satisfactory outcome. This is merely a different weighing of risk rather than a determination that the defendant’s expert opinion is illogical. The precaution that is being suggested is not a “clear precaution” but rather a precaution which involves a balancing of risks and that is a matter of clinical judgment with a logical basis. Another feature of applying the Bolitho test is that it introduces a lack of symmetry as between the plaintiff and the defendant’s expert evidence. The defendant’s expert has only to persuade the court that his views are capable of withstanding logical analysis, but he does not have to satisfy the court that the views of the plaintiff’s expert are not capable of withstanding logical analysis. However, the plaintiff’s expert has to do both. If the case is one that involves clinical judgment to which the Bolam test applies, and if the medical practitioner does produce evidence that his practice was supported by a responsible body of medical opinion, then, in the words of Sedley L.J. in Adams v. Rhymney Valley DC  Lloyd’s Rep. P.N. 777, at , “the judge or jury have to accept the opinion of a body of responsible practitioners, unless it is unreasonable [in the Bolitho sense]” (emphasis added). (b) if “yes”, whether the practice survives Bolitho judicial scrutiny as being “responsible” or “logical”. Questions of fact and the question as to whether there was negligence are not to be conflated. Questions such as whether in the event there was a right retinal tear or hole in December 2006 or whether there was inflammation in the right eye in 2007 or whether there was scleral thickening in the right eye are questions of fact to be determined on the balance of probabilities with the onus of proof being on the plaintiff. The question of clinical and professional judgment as to whether a responsible body of medical opinion would form the view, in say January 2007, that there was a right retinal tear or hole or that there was inflammation in the right eye or that there was scleral thickening in the right eye are all subject to the Bolam test as qualified in Bolitho. In some cases the determination of a question of fact may lead inexorably to a finding that the medical practitioner did not act in conformity with an accepted current practice. In others it may have no such impact. So for instance in this case if there was a factual finding, on the balance of probabilities, that on 26 December 2006 the first defendant was informed that the plaintiff had suffered a sudden and profound loss of vision in his right eye and that the plaintiff’s right eye was not assessed or if the plaintiff was not advised to have his right eye assessed that day then inexorably that would lead to a finding that the first defendant had not acted in conformity with an accepted practice. Inexorably because no logical accepted current practice would do or advise anything other than immediate action. However if the factual finding was that the first defendant was informed that the plaintiff had some extremely modest effect on his vision in conjunction with a history that drops had not been taken then (though there was a dispute about this) it might be that to delay an examination until 4 January 2007 and to recommend that the plaintiff use his drops was in conformity with a logical accepted current practice. “The law currently works and is fair and clear. 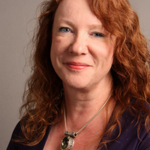 I am afraid that I require more than a few anecdotes to justify changing the law.” – Suzanne White, Partner, Leigh Day & Co; http://www.clinicalnegligencelaw.co.uk/2014/07/20/innovate-innovate-saatchi-bill/ – accessed 4.1.15. “Do you take cases on a “no win, no fee” basis? Does that mean I won’t have to pay anything at all? Yes we do.” – http://www.leighday.co.uk/Illness-and-injury/Clinical-negligence/FAQs/Costs – Accessed 4.1.15. Thousands of Britons with cancer will be plunged into “great anxiety” because of cuts to crucial drug treatments announced on Monday, Lord (Maurice) Saatchi has warned. The Conservative peer and advertising mogul told The Telegraph his life has been “immersed” with cancer recently with loved ones battling the same disease that took his wife as he criticised the scaling back of NHS funding. It comes as charities and industry experts warned that NHS England’s expected decision to stop funding a series of cancer drugs was “short-sighted” and would endanger lives. A review by the Cancer Drugs Fund, introduced in 2011 after the Conservatives pledged cancer patients would no longer be denied drugs on grounds of cost, is published today. As many as half of the 25 drugs under review – which are used in 42 treatments – could have funding pulled according to industry sources. The move comes amid spiralling costs, with the initial £200 million budget set aside by the Coalition already having increased to £280 given demand. However the expected ‘delisting’ of potentially life-changing drugs has triggered uproar from cancer charities who fear the impact of pulling the funding on future patients. Lord Saatchi, whose Medical Innovation Bill is being debated in Parliament and would increase the ability of doctors to try out new medicines on willing patients, said the funding cuts were of “great concern”. “There is a sense of possibility with the Cancer Drugs Fund. 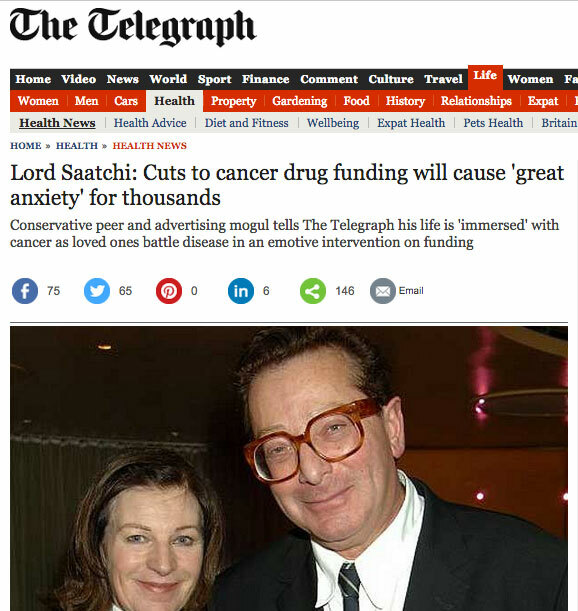 Withdrawing funding is going to cause people who would potentially benefit from the treatments great anxiety,” Lord Saatchi told this newspaper. However he noted that the fund could never alone answer why there has not been more innovation in cancer treatments and called for “big, cultural, systematic change”. “I am immersed with cancer as friends and loved ones around me suffer from the same disease which also took my wife [the novelist Josephine Hart],” said Lord Saatchi. “What I faced – as thousands do across the country – is the problem that doctors are only able to use those tools that are in front of them. It is understood pharmaceutical companies were given until the end of Friday by NHS England to justify why cancer drugs they produce should still receive funding. At least eight life-extending treatments will be denied funding, with drugs that offer a last chance to patients with breast, prostate and bowel disease among those affected. Prof Karol Sikora, chief medical officer at Cancer Partners UK and one of the country’s leading cancer experts, told The Telegraph the situation was “very sad”. “Why cant the NHS negotiate better with the pharma industry so that our patients can have equivalence with the rest of Europe? Sure these are all expensive but lives have been prolonged significantly,” he said. In a letter to this newspaper, Jonathan Emms, president of the Association of the British Pharmaceutical Industry, warned against the NHS cutting funding for medicines. “The NHS already spends less than £1 in every £10 on medicine. Further cuts would be short-sighted and compromise patient care,” he said. Danni Manzi, head of policy at Breast Cancer Care, said: “This re-evaluation shows yet again that the Cancer Drugs Fund is not fit for purpose. We hope that none of the breast cancer drugs are removed due to cost.